euroClinix, the premier online clinic in Europe, is now offering a number of new medications to treat women’s health issues like cystitis, thrush and hirsutism. Trimethoprim works quickly within the body to cure the cystitis infection, while reducing the uncomfortable symptoms in as little as 24 hours. euroClinix has been dispensing genuine medications to patients across Europe since 2004, and in this time they have increased their range from treatments primarily aimed at men, such as medications to treat impotence and hair loss, to treatments that are beneficial to both sexes, such as contraceptives and STI treatments. They have now launched three new treatment options aimed exclusively at women: Cystitis, Thrush and Hair Removal. Women across Europe who have experienced or are experiencing any one of these conditions can now visit euroClinix for comprehensive information about symptoms, cause and the various treatments that are available. Cystitis is a very common bladder infection which will affect most women at some point in their lives, often more than once. Though the infection is now dangerous, symptoms associated with the infection can be uncomfortable and painful. Prescription medication like Trimethoprim can be taken to reduce these symptoms and speed up recovery time, making it a highly beneficial option for many women. 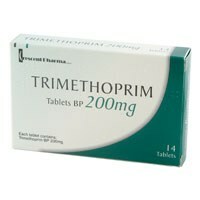 With euroClinix, women have the option of ordering Trimethoprim safely and discreetly. Thrush is a yeast infection which also affects many women, often occurring recurrently. It is not considered to be a serious health concern, but it can cause discomfort and can take some time to pass naturally. Fortunately, there are prescription medications that are clinically proven to reduce not just the symptoms of thrush but also the duration of the infection. 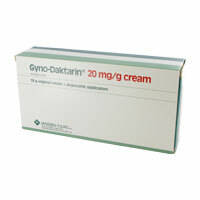 These treatments are called Gyno-Daktarin and Diflucan and are both available now to order online securely at euroClinix. Facial hirsutism can be a distressing cosmetic concern for women, especially as it is a condition that is not easy to treat. euroClinix now offers detailed and useful information relating to the different treatment options available to women suffering from facial hirsutism in addition to advice about symptoms and causes. There is a prescription treatment available called Vaniqa, a topical cream, which can effectively treat excessive facial hair growth. 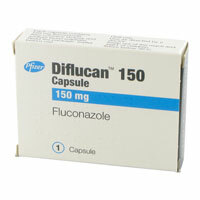 It is now possible to buy this treatment securely and discreetly online. Launched in 2004, euroClinix is a trusted online clinic that provides information, treatment and support to patients across Europe for a number of different lifestyle and medical problems. They offer a secure and confidential way in which to order prescription medications online using a free online consultation that is verified by doctors. Every step of the ordering and delivery service at euroClinix is completely private and discreet. For more details, visit the website at http://www.euroclinix.net or contact euroClinix on 020 7084 6782 or via email. euroClinix is a brand name of Hexpress Ltd, PO Box 344, Mont Crevelt House, Bulwer Avenue, St. Sampson, Guernsey GY1 3US.